Airbitz & Dark Wallet Devs Win Bitcoin Hackathon with DarkMarket! Last week, the Airbitz team hit the road and attended two different but equally valuable conferences, Inside Bitcoins NYC and Bitcoin Expo Toronto. This was a great opportunity to meet hundreds of bitcoin enthusiasts, industry experts and evangelists. However, a welcome first face-to-face meeting with some friends that we’ve been working with over the past several months turned out to be a highlight of the week. We finally met up with Amir Taaki (listed by Forbes as one of the top 30 entrepreneurs under 30 in 2014) and Pablo Martin of libbitcoin and Dark Wallet fame, who had just signed up for the In-Crypto-We-Trust Hackathon. Amir shared his concept, and knowing what a large task this was going to be to complete in 24 hours, Airbitz developers Damian Cutillo and William Swanson teamed up with them to code, fix bugs, and create a slick design and presentation. 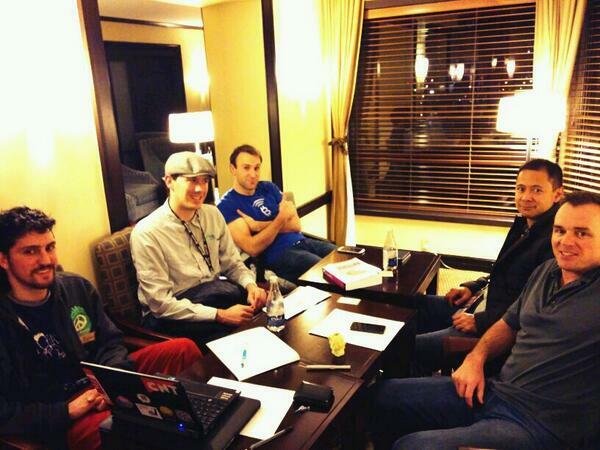 Airbitz + Libbitcoin team hash session hammering out specs for Libbitcoin, Obelisk, and Darkwallet. Thursday, 12PM: Amir and Pablo kick off hackathon. Thursday, 3PM: William joins the team. Friday, 12AM: Damian joins the team. Friday, early AM: Amir getting sick! Friday, 12PM: Still no sleep. Friday, 3PM: Hackathon presentations. Amir starts out with an inspiring speech on freedom, liberty and non-censorship, and captivates the crowd. Realizing Amir hadn’t mentioned anything about what they hacked, William steps up and talks about DarkMarket. Everyone realizes this and hilarity ensues. See the full video below. What doesn’t kill you, makes you stronger. The early attempts at shutting down centralised file sharing services ended up spawning stronger technology. Like a hydra, those of us in the community that push for individual empowerment are in an arms race to equip the people with the tools needed for the next generation of digital black markets. Today we will show you the next generation of such software: opensource, uncensored and private. The next generation of resilient uncensored markets. The social implications of this breakthrough raise bigger questions about the role of technology, and efforts under way to carve out spaces of the future where we can survive, and thrive as freedom loving people. Technology is power, and a new front has opened in the struggle for freedom. These tools are for resource management, digital governance and new finance. Technology is not, and never will be neutral. Software is art. The hackathon winner? 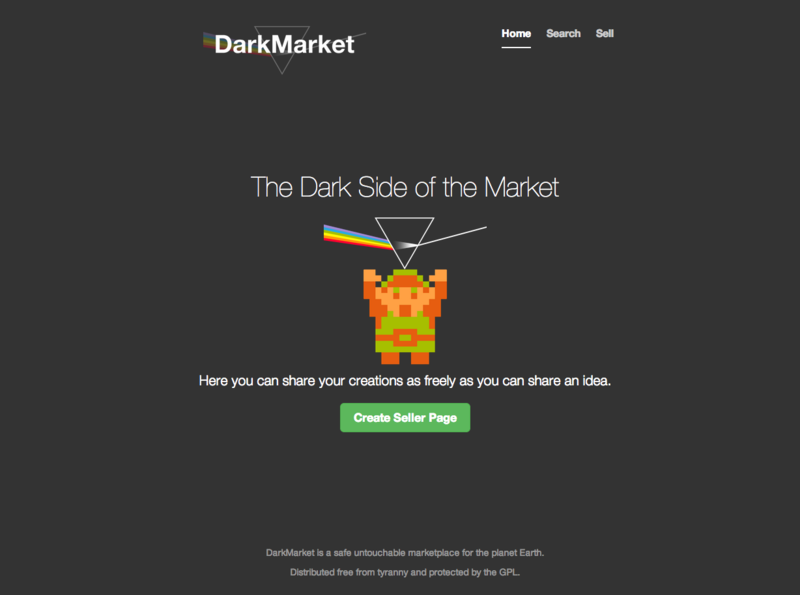 DarkMarket: A decentralized peer-to-peer marketplace, which cannot be shut down. Anyone can start a node and join the network, buying and selling with their peers. With identity, reputation, seller pages, multi-signature escrow, private messages and privacy features. 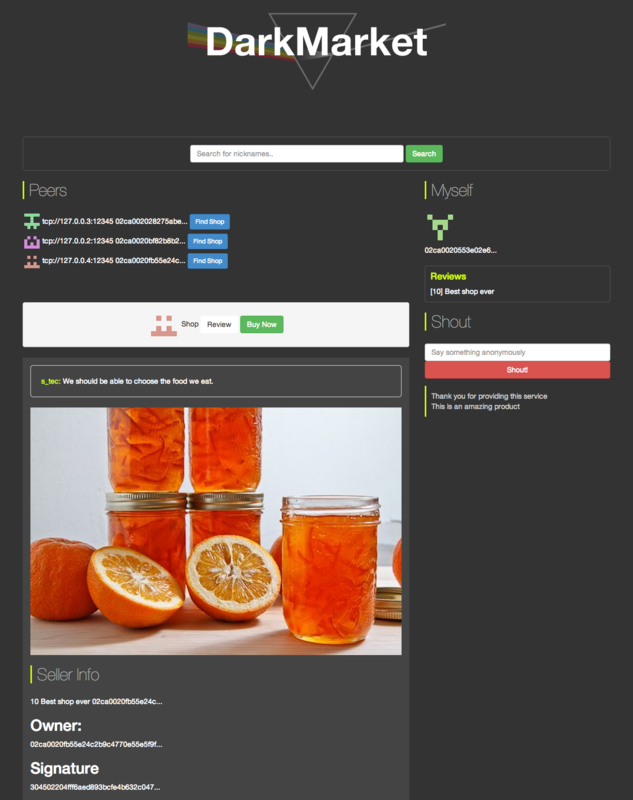 Check out the github repository. The team collectively decided that the hackathon winnings should be fully donated to continuing the development of Amir’s project, libbitcoin, which Airbitz has been contributing to and is using to develop the Airbitz Wallet. Eric Voskuil wrote this about the implications of DarkMarket, Eric is also a member of the libbitcoin team which also shares in this victory for freedom and equality on the net. For details on the upcoming release of the Airbitz Wallet, check out this Success Council interview with our CEO Paul Puey from the Toronto conference. William Swanson on What in the World is Segregated Witness?